A Gyro, the kebab of Toronto. 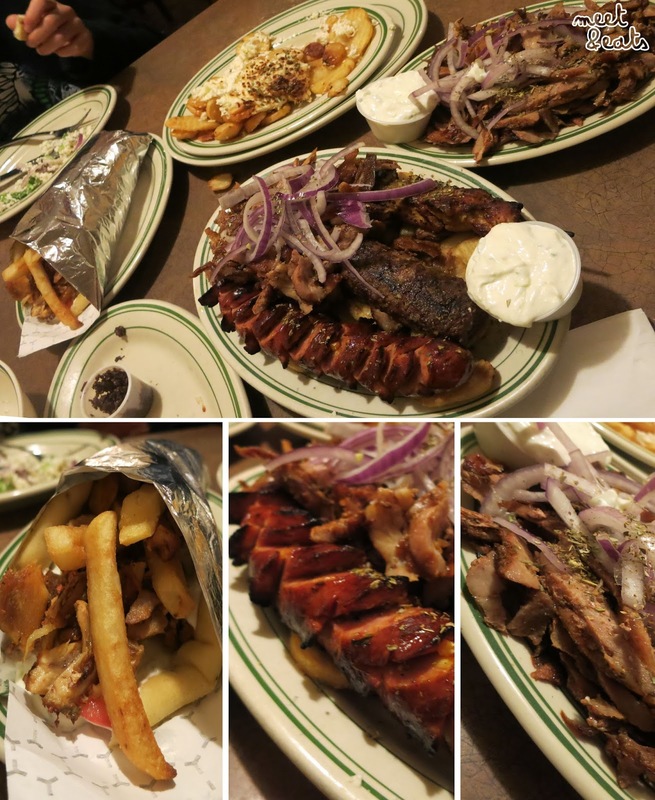 Greek food is always of a marvelous proportion, it’s brilliant. I’ve always left a Greek restaurant stuffed, with still a bit of cash in my pocket and cheery tastebuds. Gyro is the shaved meat off the mountain of rotating pressed meat, the key to a good gyro, I’ve found, is for it to be juicy with just the right amount of fat. With shavings of meat in a pita bread, spread with Tzatziki and french fries. I’ve only had the pleasure of trying a Gyro once in Toronto, I (freakishly) disassemble everything I eat. It was a Lamb Gyro which I tried from this very place in my first months in Canada. 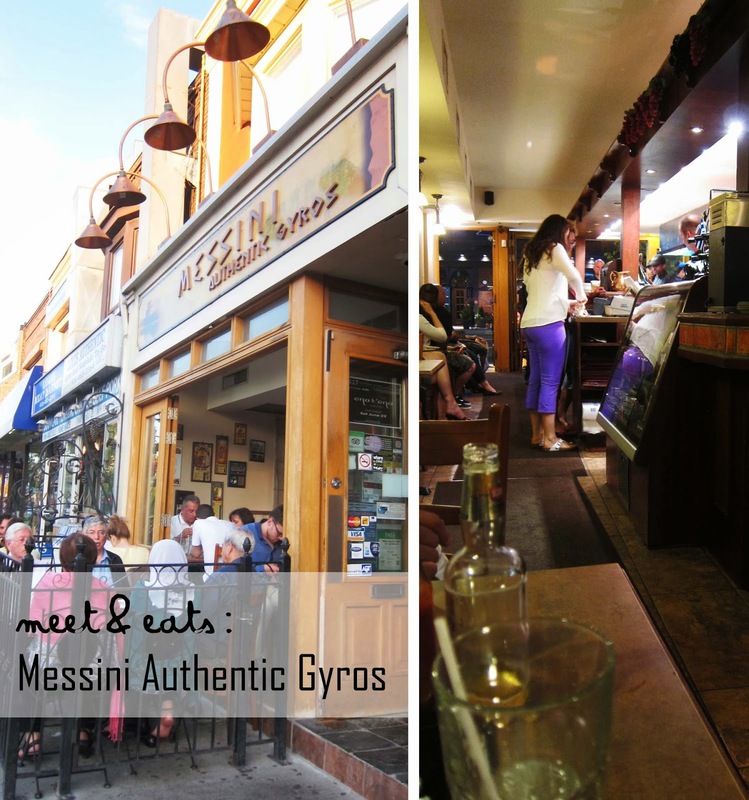 I really do want (need) to branch out and try many more Greek places in this area! The feta cheese in the Greek Salad is much softer and much less sharp than I would usually prefer. The black olive spread I tried my last time here had much more flavour. Again, I would have liked with the Pita Bread wasn’t so hard. You can’t enjoy this very much. 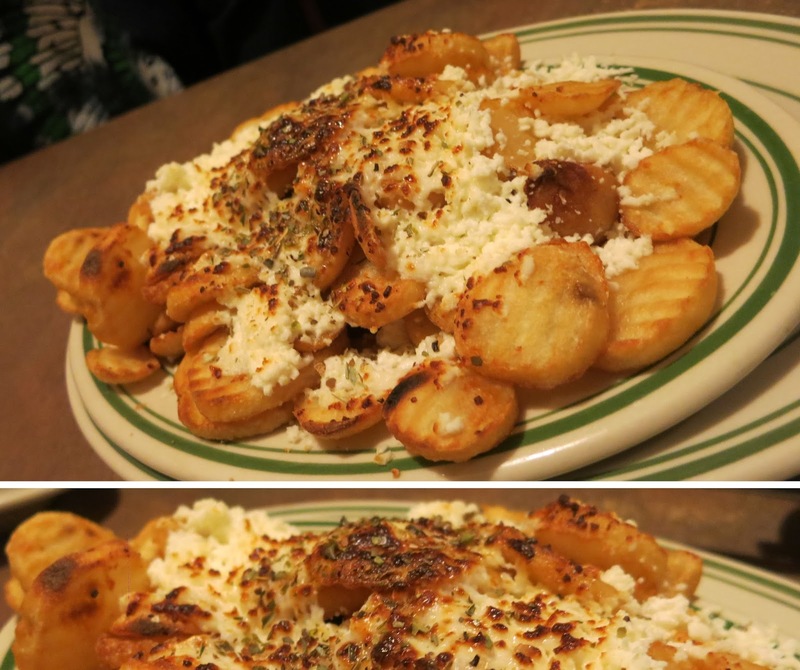 I still don’t understand the rave of Greek Frites. Average, average, average. Drenching it in tomato sauce we had side made it much more exciting to eat. Pork shaved from the Spit and served in a Pita topped with Tzatziki and french fries. A complete platter consisting of shaved Pork Gyros,a Souvlaki stick, a Greek-style Sausage and a kebab mix of Lamb and Beef. If you’re going to get a gyro – get the lamb! Beats everything else they have. All I really enjoyed was picking at the (hopefully juicy) pieces of gyro and dipping it into the provided delicious Tzatziki sauce. My feelings of Messini are still the same. The Greek-style Sausage was not as rich in flavour as you’d expect, and the Souvlaki, once again, failed me. Very dry and not worth coming back to. It sure did fill me up though. I like my ketchup with everything.